I recently had the unforgettable opportunity of visiting the premises of the Nuremberg International Military Tribunals, where senior officials of the Nazi regime – including Herman Goering, Rudolph Hess and Albert Speer, amongst others – were tried following the conclusion of WWII. 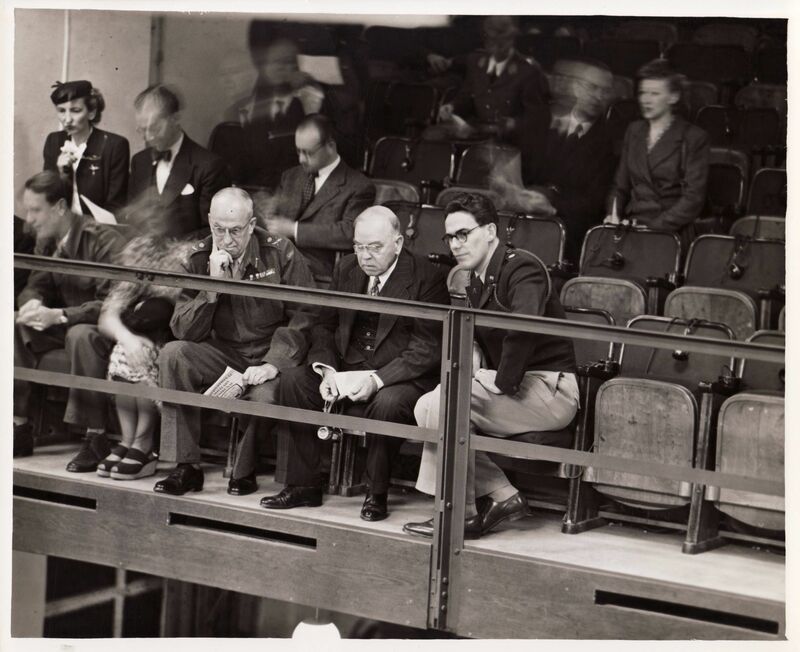 Following my visit and a tour of the court, a wonderfully thoughtful curator, Henrike Zentgraf, was kind enough to send me two photographs of former Canadian Prime Minister William Lyon Mackenzie King visiting the court and attending the trials. As an avid researcher of Canadian political history and international criminal justice, I was admittedly surprised to learn that King had even visited Nuremberg following the war. But it is possible that, as with so many other countries, Nuremberg marked the beginning of Canada’s support for post-conflict accountability and justice. As many readers will know (I hope it’s not hard to tell! ), I have a keen interest in photography. It is thus a great pleasure for me to share these two rare and stunning photographs of King attending the tribunals. The first depicts King sitting on the visitor’s balcony in the Nuremberg tribunal courtroom. The second photo is of King with two American judges John J. Parker and Francis Biddle. This entry was posted in Canada, International Law, Justice, Nuremberg, Nuremberg Trials and tagged William Lyon Mackenzie King. Bookmark the permalink. This is fascinating. As a Canadian, I thank you for sharing. Thanks for this. 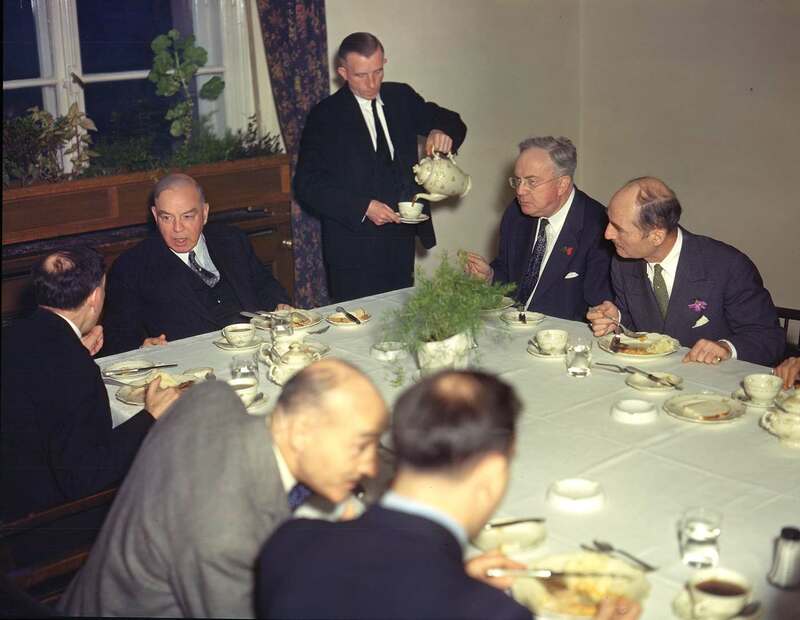 In the first photograph, the man to Mackenzie King’s right was my grandfather, Lt Gen. Maurice Arthur Pope (1889-1978), then Head of the Canadian Military Mission to Berlin. That’s incredible. I’m so glad you reached out to share that information and it makes me even more happy to be able to share these photos.